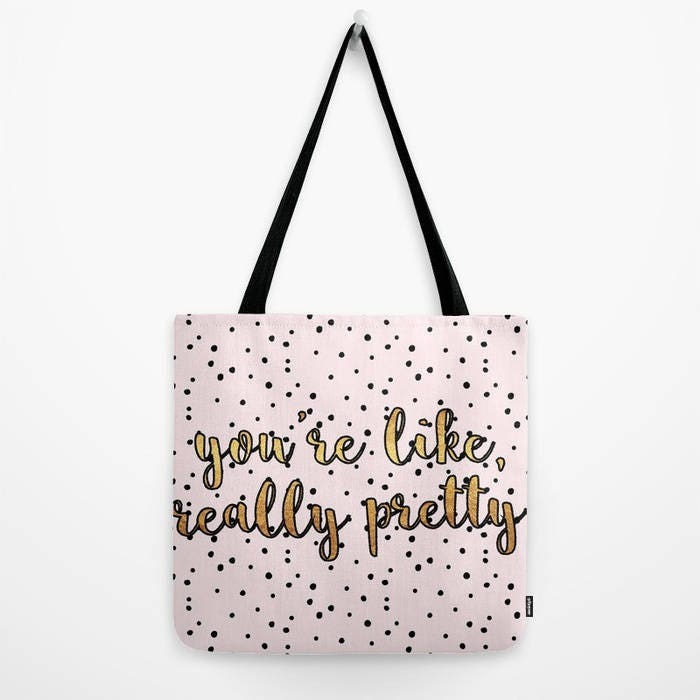 Oversized Beach Towel - You're Like Really Pretty - Pink Black Polka Dots Gold - OPTIONAL: Bundle it with a Matching Tote and Pouch! 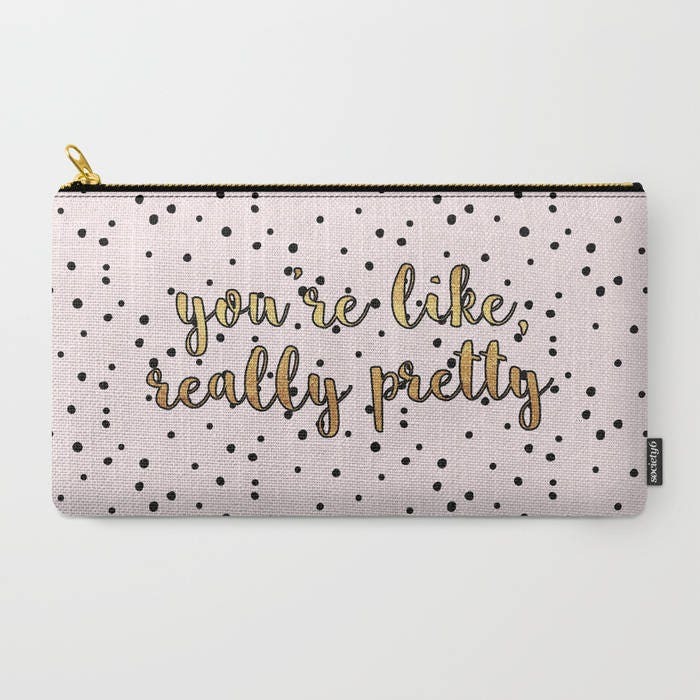 Light blush pink background with irregular black polka dots and gold foil-look script "you're like, really pretty". 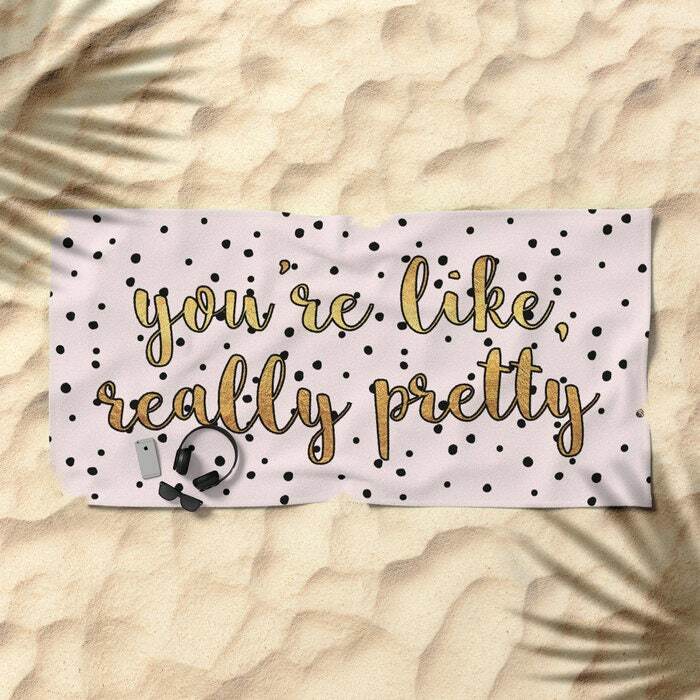 Lay out like a pro with this super comfy and oversized beach towel. 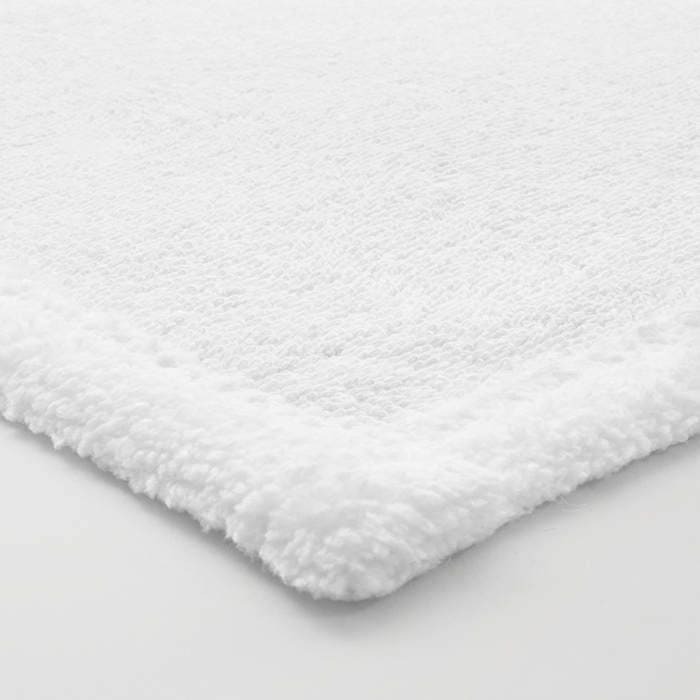 Super comfy soft polyester-microfiber front is perfect for laying on and cotton terry back is perfect for drying off. Machine washable. By popular demand, our beach towel can now be bundled with its matching tote bag in the Large (18"x18") size and its matching zipper pouch in the Medium size (9.5"x6"), perfect for beach going! See the bundle options before adding to your cart! 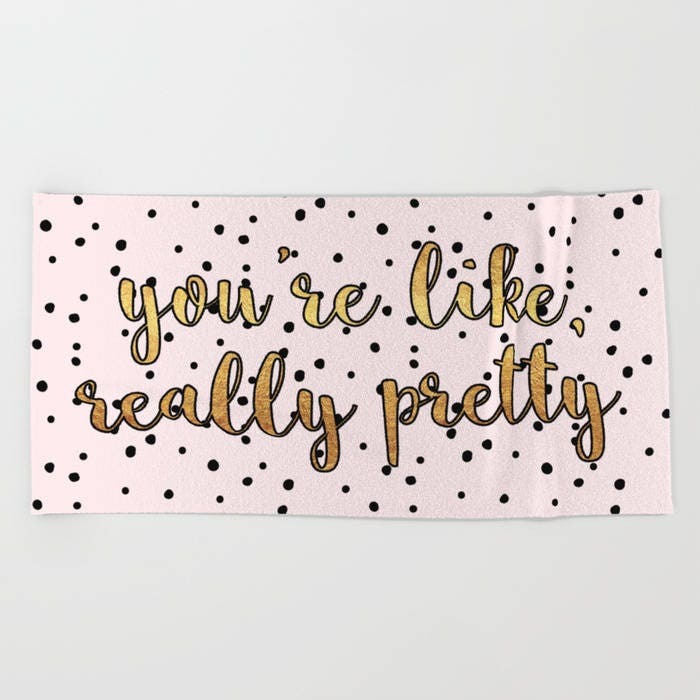 This towel will be made to order and should take about 3-5 business days to ship, then allow additional time for shipping based on destination.